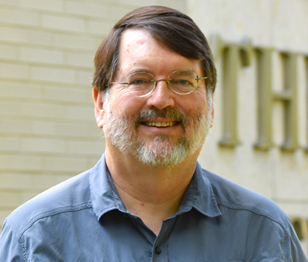 Professor Michael Montgomery is an accredited interim minister in the United Church of Christ and has served churches in Nebraska, Iowa, Illinois and Indiana. He has also served as the site manager for a housing shelter for people who are homeless for twelve years. In addition to his work with congregations. Dr. Montgomery has served Chicago Theological Seminary as a Fellow in the PhD program and adjunct professor since 2003. He has taught or lectured at Trinity Christian College, Philips Theological Seminary, Liverpool Hope University, Ripon College, Cuddlesdon (Univeristy of Oxford), and the Programme for Theolgoical Education at Manchester, U.K. His research interests include church revitalization strategies, contemporary ecclesiology and congregational studies. ‘Different Mirrors: The Role of Sociological Imagination in Theology’ Chicago Theological Seminary Register, Vol. 88, No. 3; Fall, 1998. When did Congregationalists Become Pilgrims? Sociological Lenses for Ecclesiological Questions’ Chicago Theological Seminary Register, Vol. 88, No. 3; Fall, 1998. On Easter Morning: A Sociological and Theological Examination of Liberal Church Renewal, Ph.D. Dissertation, Chicago Theological Seminary, 2003.